Chemotherapy could prompt metastasis in some breast tumors, according to findings from animal studies. Patients with breast cancer undergoing neoadjuvant chemotherapy may experience cellular responses to the treatment that promote the metastatic spread of the disease, according to the results of an animal study. 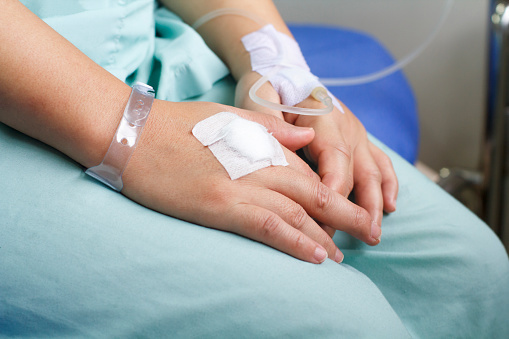 Previous studies in mice have suggested that cytotoxic chemotherapy may have prometastatic effects. Specifically, tumors releases extracellular vesicles (EVs) that facilitate the metastasis of disease in distant organs; however, the effect of chemotherapy on these EVs is unknown. In this study, the researchers used breast cancer models to look at 2 classes of cytotoxic drugs — taxanes and anthracyclines — and found that both elicited tumor-derived EVs with enhanced prometastatic capacity. These EVs were enriched for certain proteins including annexin A6 (ANXA6), a CA2+-binding membrane-associated protein that has been implicated in the regulation of cancer cell invasion. However, the researchers acknowledged that they did not study survival associated with the various treatments and, therefore, they could not conclude whether “increased metastatic seeding and outgrowth in response to chemotherapy-elicited EVs would translate into shorter survival” across their disease models.